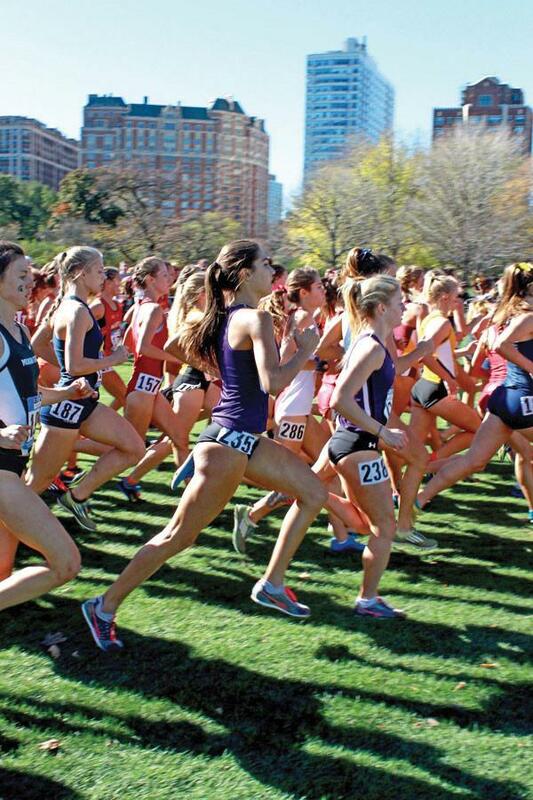 Northwestern runners compete in a cross country event. The Wildcats will be taking part in their first event since April 2 and send four runners to Virginia. After a nearly three-week hiatus from competition, Northwestern heads to Charlottesville, Virginia, this weekend for the Virginia Challenge. The event will be slightly smaller compared to the 1,700-athlete competition in San Francisco earlier this month. Only four out of 1,200 participating athletes this weekend are Wildcats. Among them is junior Jena Pianin, who came in first on the team a few weeks ago in the 5,000-meter event. She said she is looking to have an even stronger performance this weekend. Coach ‘A Havahla Haynes said the team has been feeling better recently, especially after deescalating its workout regimens to focus on staying healthy and avoiding injury. Because it’s an Olympic year, athletes had to meet certain time standards, which makes this event different from others the team has participated in. Haynes said she didn’t know what the standards would be until recently, but, all of the athletes she had hoped would attend made the cut. Both Pianin and Haynes said although San Francisco wasn’t the team’s best showing — even with two runners setting personal records — this weekend should yield better results.